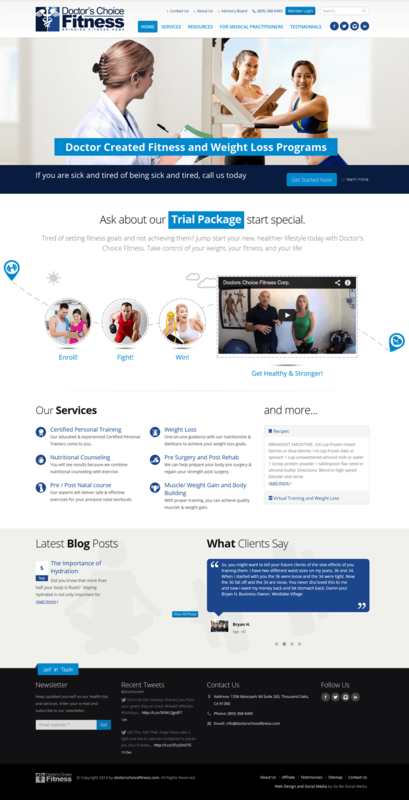 Doctor’s Choice Fitness was created to provide the most comprehensive and innovative medically supervised Fitness, Nutrition and Weight Loss program in the industry. Working with the top fitness instructors they are able to deliver amazing results! 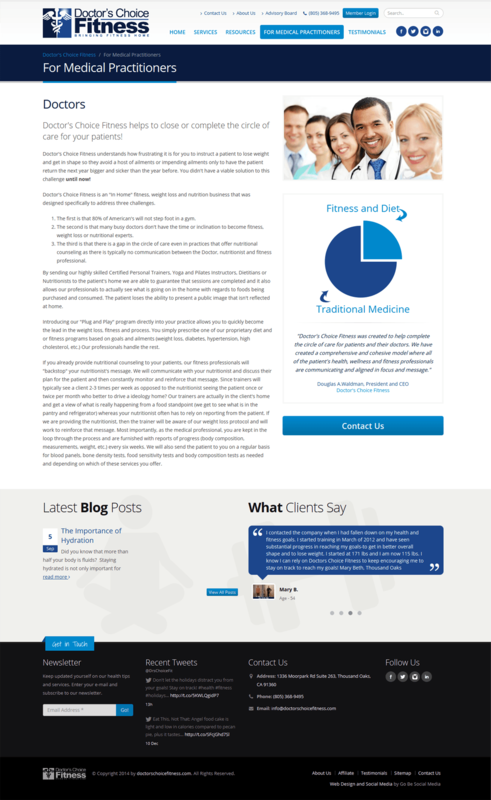 Doctors Choice works directly with your doctor and by combining scientifically supported Nutrition, Weight Loss Techniques, Certified Personal Training Protocols, Yoga and Pilates with their proprietary “In Home” training model, they are able to help the 80% of Americans who will not go to a gym. Their fitness professionals come to your home, office or a local park to provide a fat-shredding, muscle-building workout at below-market pricing while allowing you to skip going to a gym. 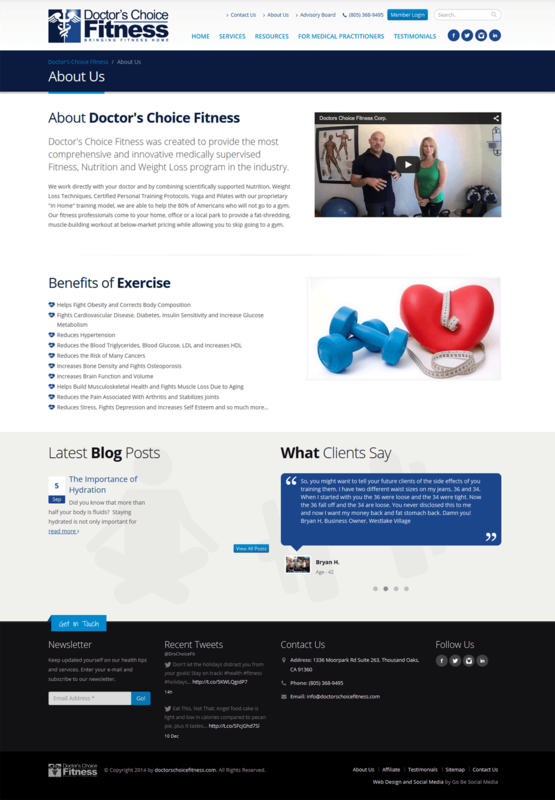 The need was a professional fitness instructor website that is aesthetically pleasing as well as effective in explaining this unique service. The plan included automation in client account creation, API calls to payment gateway and a simple process of sign up for both users and doctors. 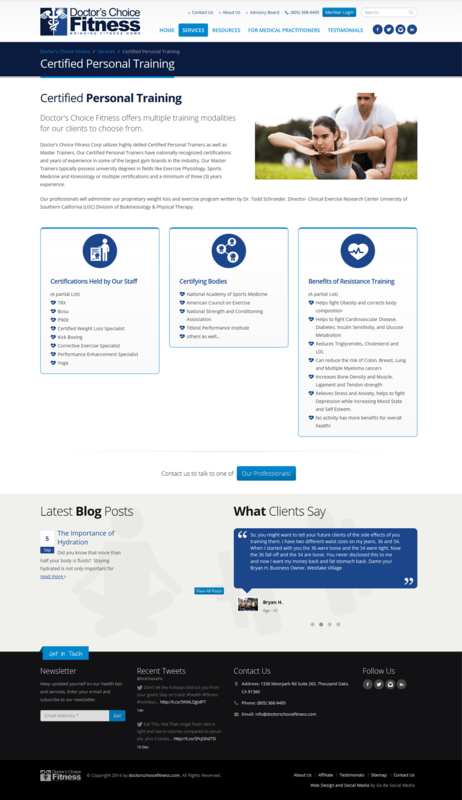 The site needed to attract both users and doctors alike, this unique prerequisite made the project challenging, our design team created several drafts and worked closely with the client to get the exact mix of aesthetics and information. 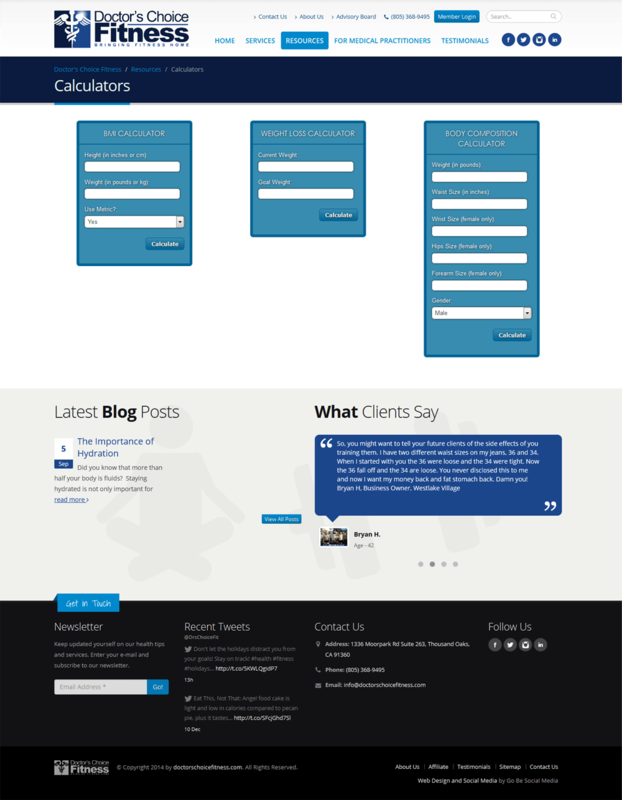 Pulse designers built up a theme that matches the needs perfectly, the website is clear in its purpose and transfers the message in seconds to a prospect. Users know what they are getting and the results they can expect while using Doctors Choice and Practitioners see it as a whole new way of improving their patients lives.